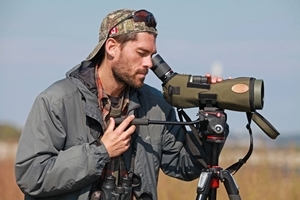 Today, a total of 13 observers (myself included) birded various sites in Ottawa-Gatineau, targeting birds of interest. We managed to find many of our targets, which was terrific! Though the day began quite chilly (-23 C with a windchill around -30) it warmed throughout the day, to a high of -15 C. By mid-afternoon, there was practically no wind, making for absolutely lovely winter birding weather. 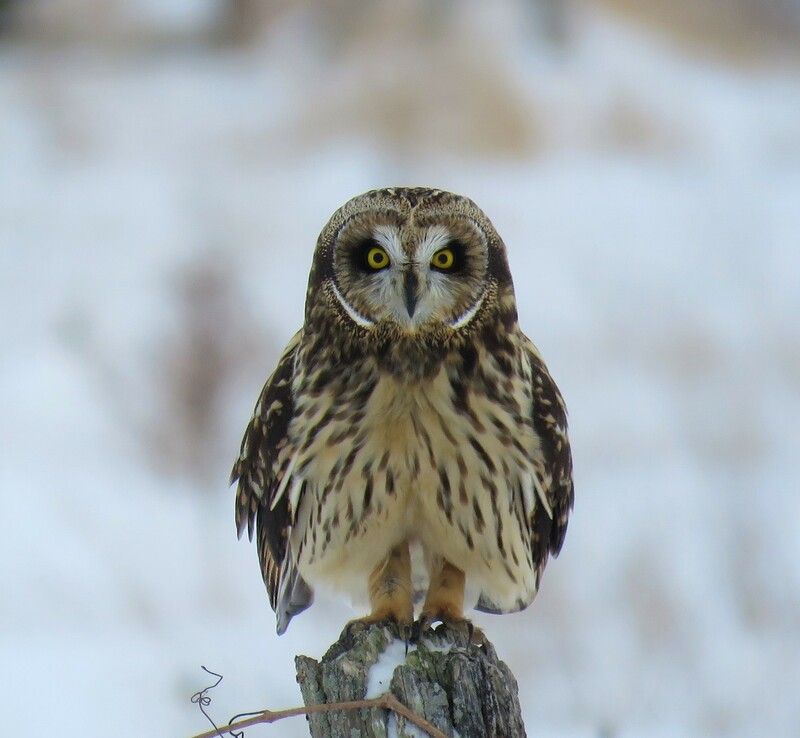 Our highlights were observing 7 Gray Partridge in Goulbourn and 3 Short-eared Owls in Gatineau. I think my personal highlight was our lunch! We had a buffet lunch at Buffet des Continents in Gatineau. In my experience, buffets are great destinations for birding groups; everyone is able to go their own way and follow their stomachs 🙂 All in all, it was a nice day out with familiar birding buddies — a great way to spend a Sunday here in the National Capital Region. Photo: I took this photo of one of the Short-eared Owls while scouting for the tour. 9 January 2018.